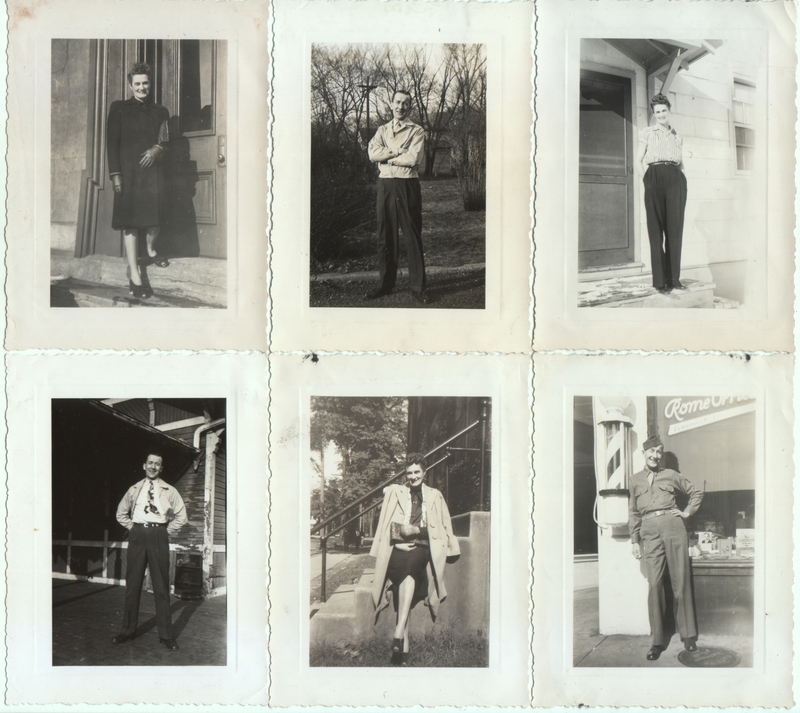 Six photos, each measuring 3 x 4.25 inches. All are undated and unidentified, but I have posted other pictures of these people here. They are all printed on Velox paper, dating them to the 1940s-50s, which would have been my guess anyway just by looking at them. I was going through my bags of unsorted snapshots looking for yesterday’s Thanksgiving photo, and I kept running across pictures of Bert and Slim. I realized it’s been a while since I’ve visited with them, so I thought I’d share a few more photos of them. From what I can tell from the random photos and scant information, they were a couple, presumably married, together for at least a couple decades, probably childless, and living for at least a while in South Dakota. The pictures show happy people, enjoying life and each other. That, in turn, makes me happy. By the way, “Bert” is the woman and “Slim” is the man. Nice to see more of the quirkily named duo. I’m guessing “Bert” might be short for Roberta, but I don’t know. After all this time of just knowing them as Bert and Slim, it might be weird to finally learn their real names. I feel like I know the people in my collections, too. I want to protect them and treat them right! I am totally in love with some of them, both male and female. I almost thought you were saying I’m silly! SO long as you are too then I will admit it is true. Will reply in your email soon, sorry haven’t got to it yet. I agree. I think they would have been nice to know. Style. Each and every one. Elegance. Lovely!